Engine bought reconditioned in 2016. Engine hours stated since installation. Radar requires service. Wind instrument requires re-calibration. 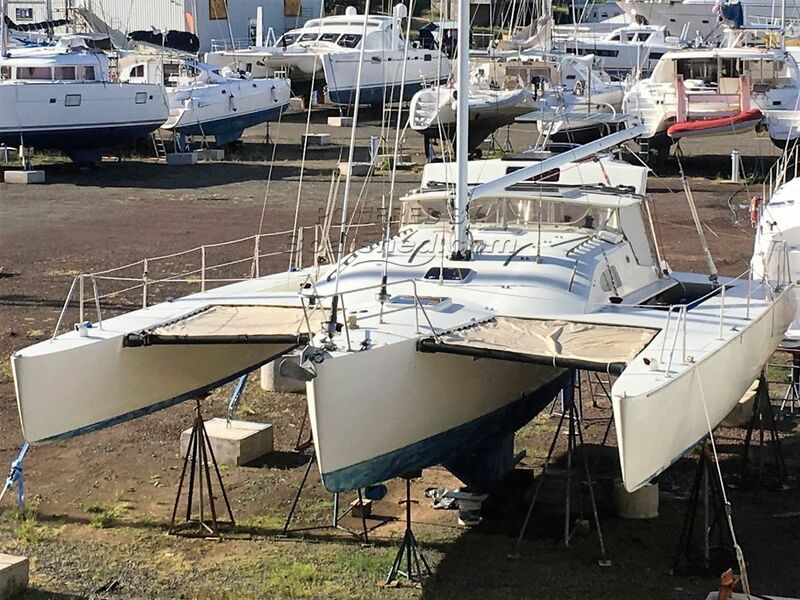 Bought in 2013 and sailed to the Caribbean from Australia, the current owners have found this boat to be seaworthy and safe for long distance passages and comfortable for Caribbean cruising. She feels airy and dry inside and has clearly been loved and looked after - cruising during the Caribbean sailing season and decommissioned and stored ashore over hurricane season. The single aft cabin has its own entrance from the aft deck, and a visibility dome. Plenty of stowage space thorughout - in the saloon, forward and aft cabins and the outrigger hulls. This Custom Bluewater Cruiser Trimaran has been personally photographed and viewed by Anita Sutton of Boatshed Grenada. Click here for contact details.